Mackley is currently carrying out a programme of works to repair and improve a half-mile long structure which protects the harbour in the south Devon town of Brixham. First erected in 1843, Victoria Breakwater was severely damaged during Storm Emma in March 2018. Working on behalf of Torbay Council, Mackley has been contracted to rectify the damage and improve the breakwater for the future defence of the harbour – which plays a key role in helping the small fishing town to thrive. 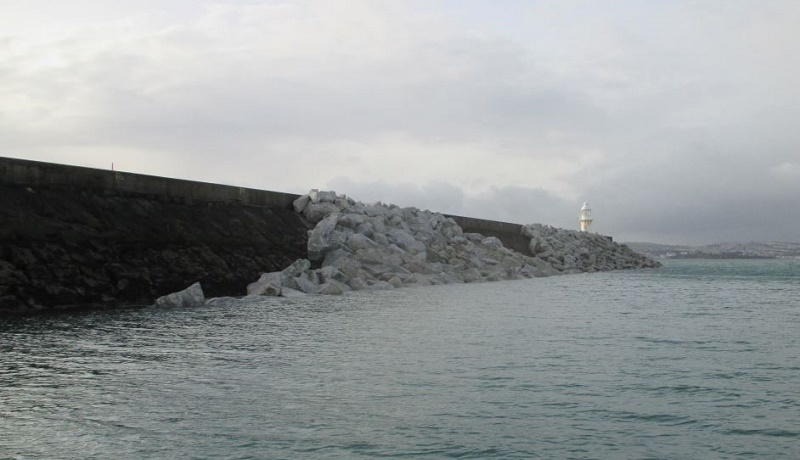 The works, which are taking place to a tidal programme over the winter months, involve reinforcement of the breakwater with rock armour and precast concrete units. 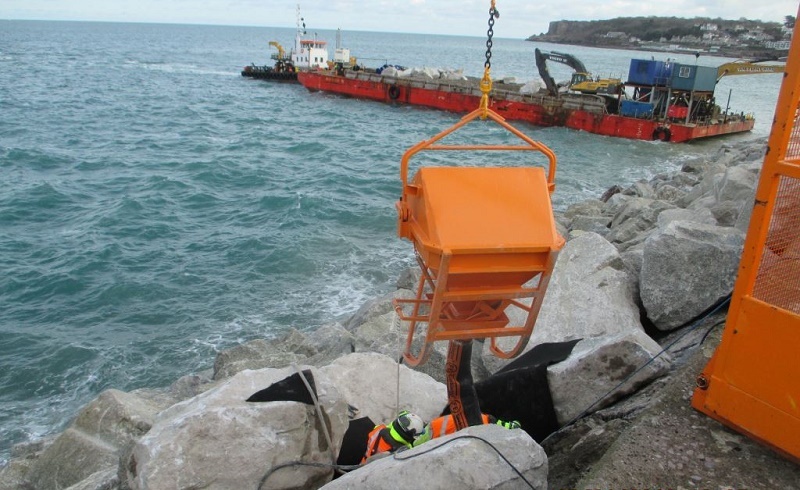 The rock armour comprises locally sourced Cornish Granite – which is being delivered by sea and installed by barge onto the breakwater’s seaward elevation and bullnose. To conclude the project Mackley will also carry out secondary works including masonry, concreting and other ancillary tasks. Mackley has extensive experience of this type of work, having recently completed a similar scheme to maintain the structural integrity of the harbour arm in the historic town of Hastings on the Sussex coast. The scheme, carried out on behalf of Hastings Borough Council, is designed to protect and retain the beach to the west and the harbour to the east, from the prevailing south westerly waves. It involved re-facing the landward structure with concrete and reinforcing the seaward structure with rock armour.